Home Costs > How Much Does it Cost to Reupholster a Couch? Reupholstering a couch is the process of covering an existing couch with new fabric to make it appear like new again. As a couch gets used over the years, the look can diminish, along with the comfort level. The average price to reupholster a couch will cost about $500 to $1,500 if done by a professional. The price will depend on the size of the couch, the professional doing the job, if it has to be delivered, the fabric being used and the geographical location. When getting a couch reholstered, there are a few other things to keep in mind, aside from the fabric. This can include the condition of the frame, the fabric weight, and the accessories if you want to update these as well. With so many fabric choices on the market, the fabric you choose will often have the largest impact on the price. When choosing, you will notice fabrics will be organized by the color, pattern, its stain resistance and the durability, and to budget, if you find a fabric you like, it’s best to buy at least 18 to 20 yards. The higher in quality, the more you will pay by the yard, but most fabric will cost $10 to $40 per yard. Since all jobs can be very unique and it’s hard to give an exact quote, consider getting free quotes from local uholstery specialists from HomeAdvisor.com. Here, you can explain your job and licensed professionals will contact you with a ballpark quote. At Apartment Therapy, they asked this very question, and with more than 120 replies, many said they had paid anywhere between $250 to $600. Hunker says the average price will be based on the cost of living in your area, but the average two seat couch can cost about $1,2000, but if the furniture were heavily damaged, the costs could be much more. During the process, the upholsterer will dispose of the older fabric on the couch by tearing apart of the fabric down to the frame. At this point, if there’s damage to the frame, the upholster will repair the damage and replace the padding before applying the new fabric. With the new fabric, the upholster will then apply it, along with the trim. Depending on the job order, the pillows and/or additional accessories will be upholstered or created as well. New foam and padding, if required, are considered as additional costs. This is necessary when the couch cushions have lost its shape or form because of extensive use. Frame repair, again, if necessary, will entail more labor and can cost more. A basic frame repair can be an additional $40 to $100. Replacing or even adding a customized decorative touch can increase the price. For example, if you wanted to create a ruffled-like pattern into the fabric, then the upholsterer will have to manually sew, increase the labor time. For customized decorations, plan on spending an additional $100 to $250. Cushion and pillow covers can cost anywhere from $10 to $95 depending on the size. If you want to keep the same pillows or even create a pillow that uses the same fabric, each pillow can cost $40 to $100 each. If you cannot deliver the couch to the company, you will more than likely have to pay the company to have it picked up. Delivery fees can range anywhere from $100 to $350, depending on the distance being traveled. Plan on spending at least $1 to $2 per mile. Instead of reupholstery, considering having a professional come to your home and professionally clean your couch. 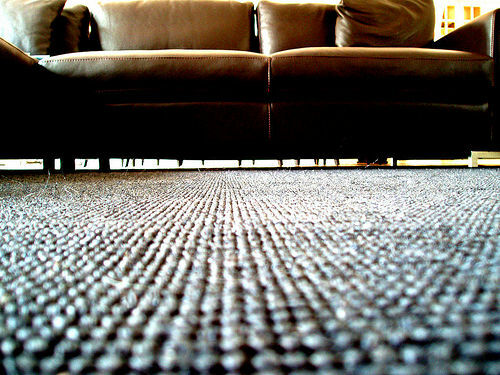 You may be surprised that the results of the cleaning may be almost like a new couch. There are simple couch covers or couch coats that you can buy to place over the existing fabric. These covers come in a variety of sizes, colors, and designs. They can also be taken off and washed, which allows you to keep your couch even cleaner than before. A good couch cover can cost less than $50. Some upholsters may require you to purchase the fabric from them, but others may allow you to bring in your own material. 99 percent of the time, if you’re able to pick out your own fabric, this will be the cheapest option. Unless this sofa means something to you, nine times out of ten, it’s going to be cheaper to buy a new sofa. If you don’t care if you were to lose this sofa, compare the prices to purchasing new to see if it makes sense.